The meat loaf and rice are cooked in the same casserole dish so the natural juices of the meat give great flavor to the rice. This is a relatively easy recipe because the ingredients are really just mixed all together. As this dish is cooking it smells so good in the house. 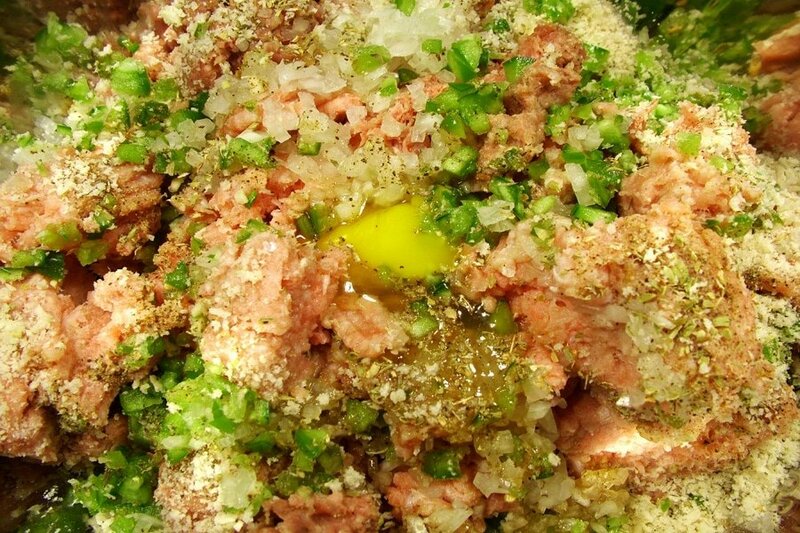 In a large bowl, mix all of the meat loaf ingredients except the parmesan cheese. 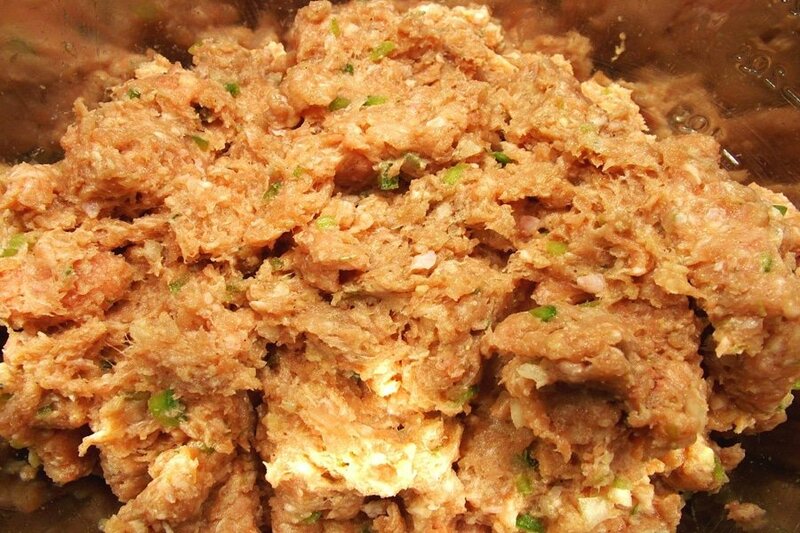 Shape the meat mixture into a loaf and set inside the middle of a large casserole dish. Set aside for a moment. 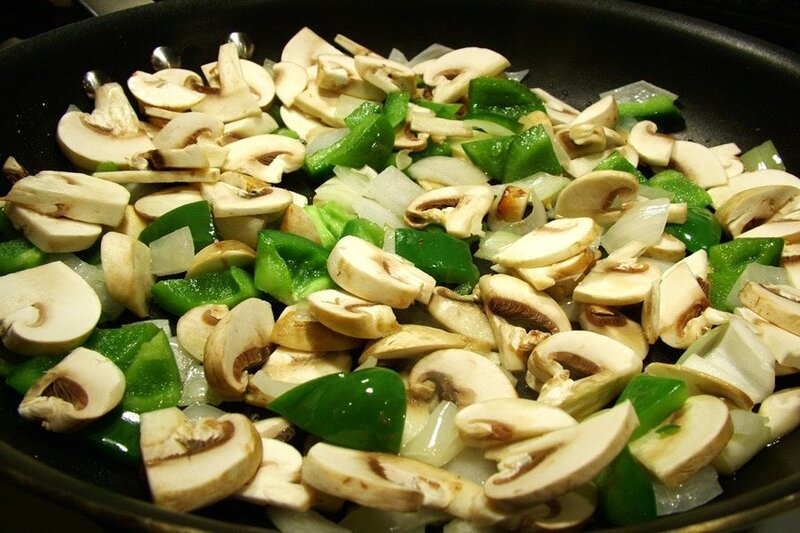 Coat the bottom of a medium size frying pan with olive oil and sauté all of the tomato veggie rice ingredients except the tomato sauce and cut tomatoes. 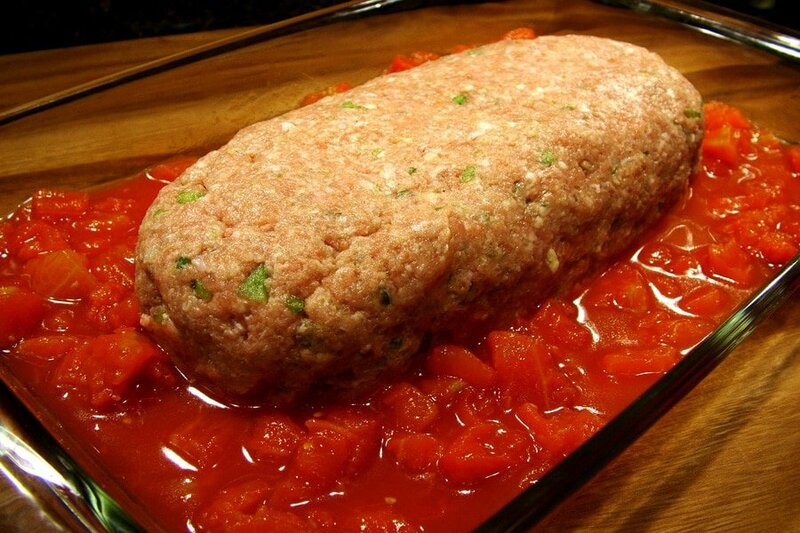 Pour the entire can of cut tomatoes into the casserole dish and spread it all around the meat loaf. 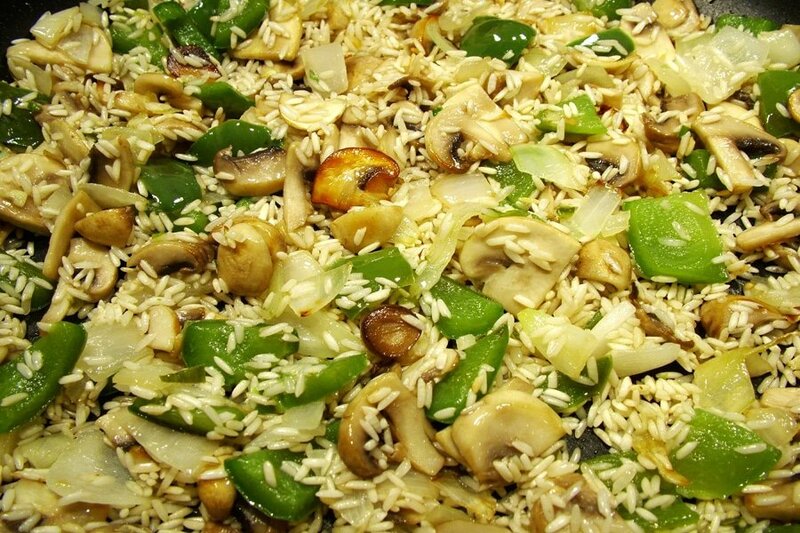 Put the cooked veggie-rice mixture over the cut tomatoes in the casserole dish. Pour the can of tomato sauce and water over the cooked veggie-rice mixture. Gently mix the cut tomatoes, cooked veggie/rice, tomato sauce, and water together without disrupting the shape of the meat loaf. Then top the meat loaf with 1/4 cup of parmesan cheese. Put foil on top of the casserole dish and cook for about 1 hour. After about 50 minutes peek under the foil to see how the rice is cooking. If there is too much liquid it may need to be cooked a bit longer. Also, see how the meat loaf is doing, if the juices coming out of the top of the meat loaf are still pink, it needs to cook a bit longer. 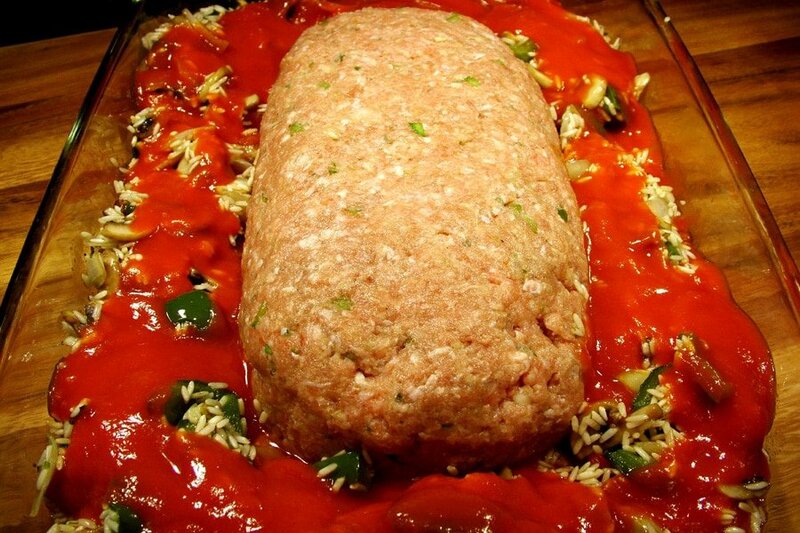 After removing from the oven, move the meat loaf on to a large plate and let rest for apprx. 10 minutes before cutting. Mix the butter and about ½ of the can of tomato sauce into the hot rice mixture. 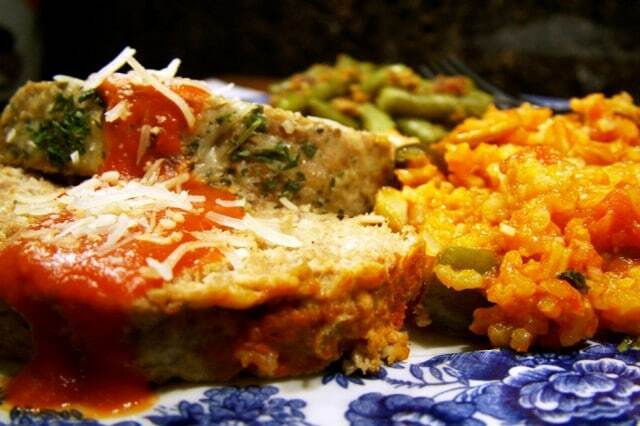 After slicing the meat loaf into serving sizes and plating them, drizzle the remaining tomato sauce over each piece and sprinkle the top of the meat loaf slices with the remaining parmesan cheese. Top with dried parsley or additional parmesan cheese. 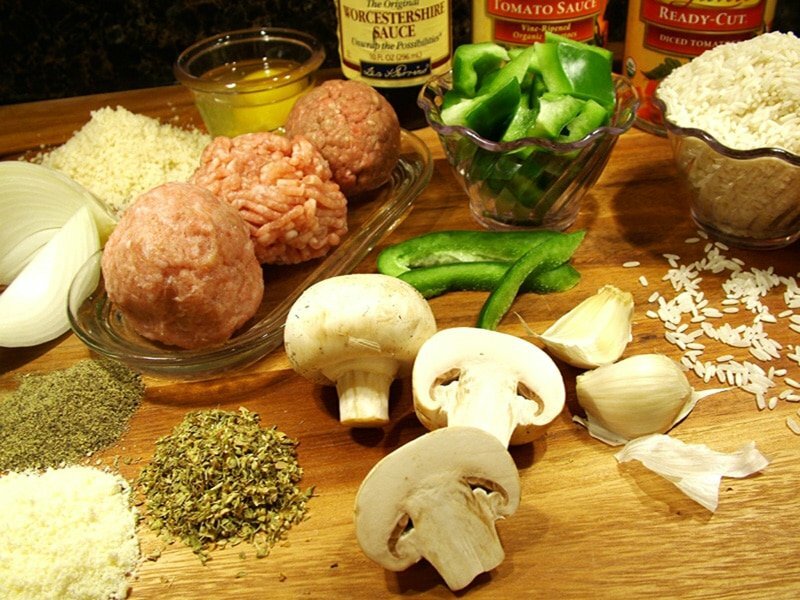 For the Meat Loaf : In a large bowl, mix all of the meat loaf ingredients except the parmesan cheese. 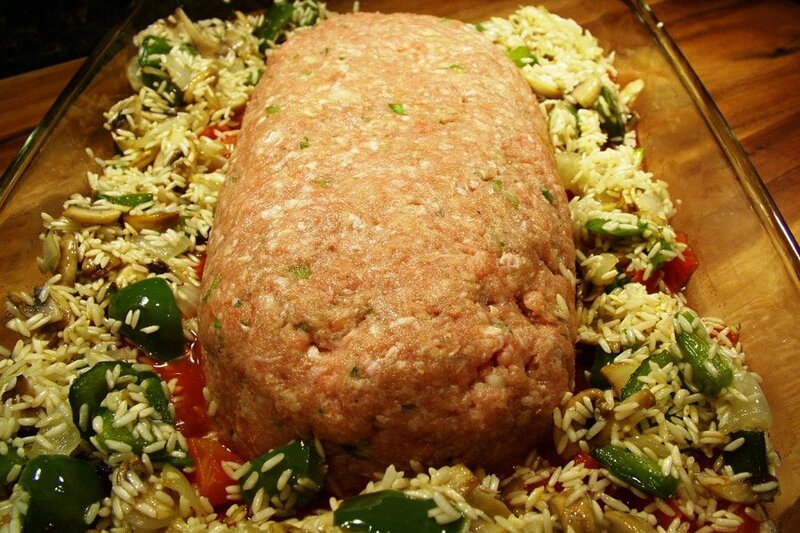 Shape the meat mixture into a loaf and set inside the middle of a large casserole dish. Sprinkle the top of the meat loaf with the parmesan cheese. 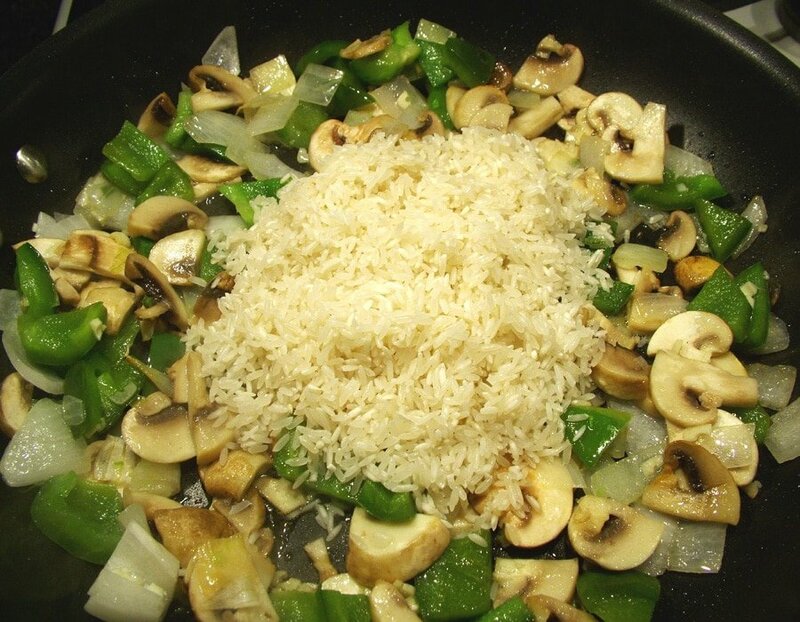 For the Tomato Veggie Rice: Coat the bottom of a medium size frying pan with olive oil and sauté all of the veggie rice ingredients except the tomato sauce and cut tomatoes. Pour the entire can of cut tomatoes into the casserole dish and spread it all around the meat loaf. Put the cooked veggie/rice mixture over the cut tomatoes in the casserole dish. Pour the can of tomato sauce and water over the cooked veggie rice mixture. 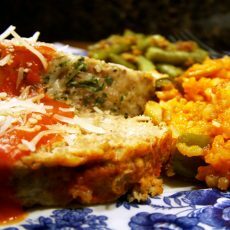 Gently mix the cut tomatoes, cooked veggie rice, tomato sauce, and water together without disrupting the shape of the meat loaf. 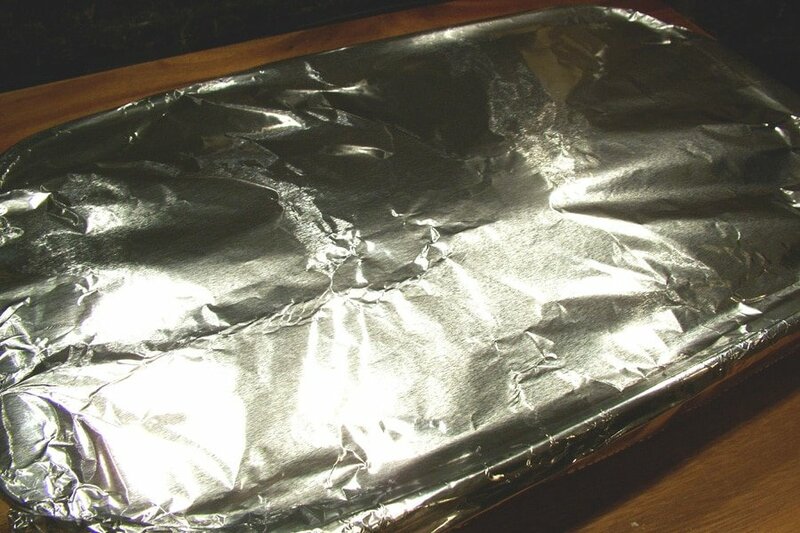 Put foil on top of the casserole dish and cook for about 1 hour. After about 50 minutes peek under the foil to see how the rice is cooking. If there is still a lot of liquid it may need to cook a bit longer. Also, see how the meat loaf is doing, if the juices coming out of the top of the meat loaf are still pink the meat needs to cook a bit longer. 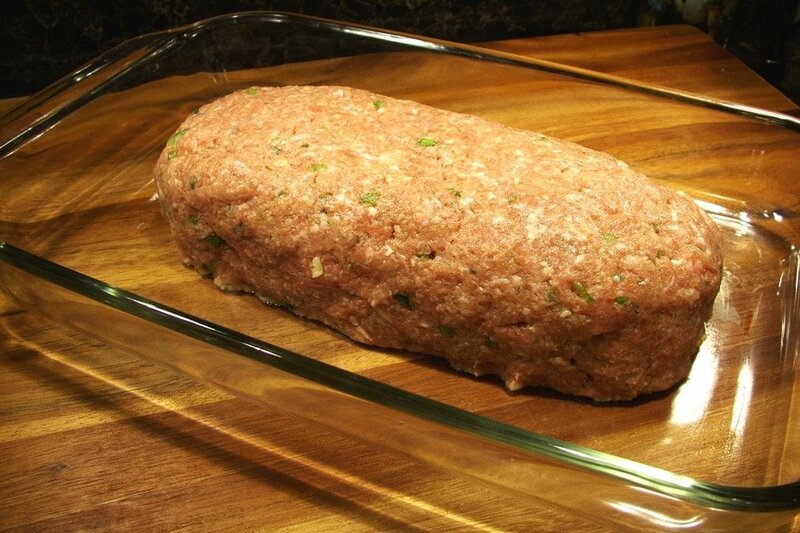 After removing from the oven, move the meat loaf on to a large plate and let rest for apprx. 10 minutes before cutting. 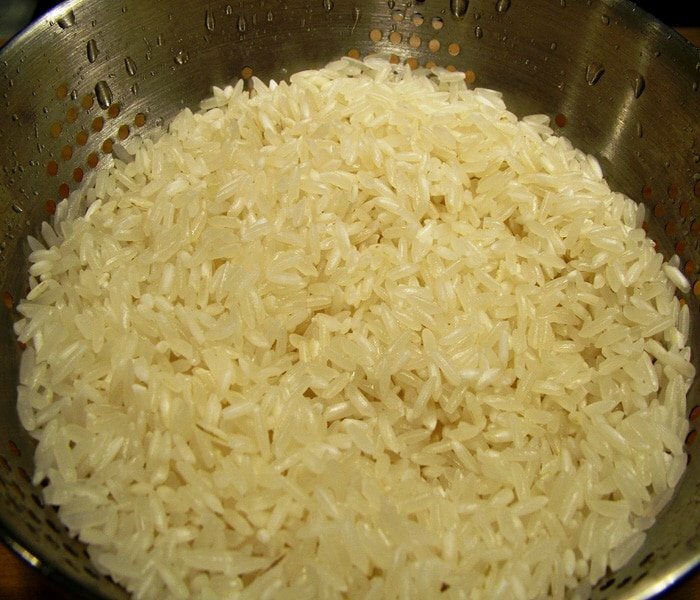 Mix the butter and about ½ of the can of tomato sauce into the hot rice mixture. 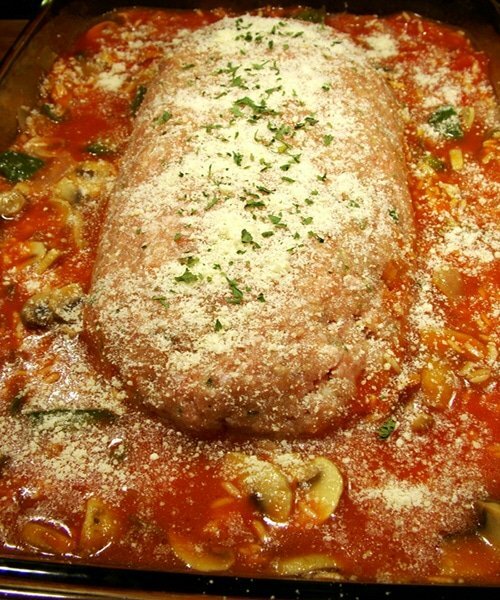 After slicing the meat loaf into serving sizes and plating them, drizzle the remaining tomato sauce over each piece and sprinkle the top of the meat loaf slices with the remaining parmesan cheese. Top with dried parsley or additional parmesan cheese. I have got to make this during the up coming week. Yum! Hi Anne, I hope you like it! Thank you for stopping by. Have a great weekend. This looks really good! YUM! Great Pictures.